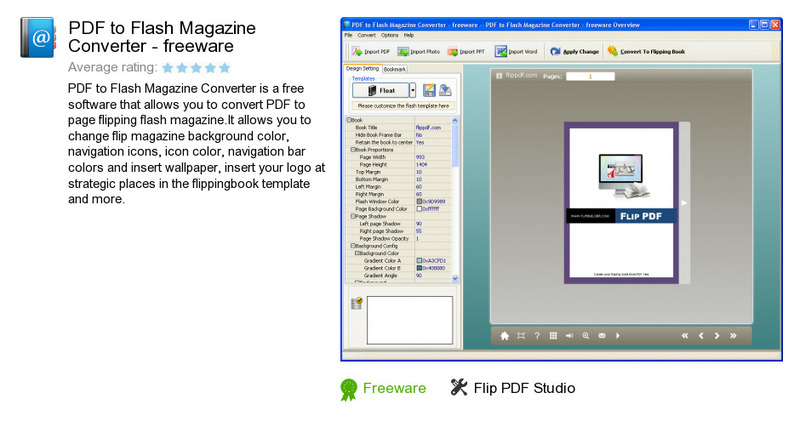 PDF to Flash Magazine Converter - freeware is a software program developed by Flip PDF Studio. We know of version 3.2. Version 3.2.1 is available for free download at our site. PDF to Flash Magazine Converter - freeware installation file has a size of 8,954,926 bytes. Flip PDF Studio also publishes Free PDF Page Flip Reader and Free Page Flip Book Maker.